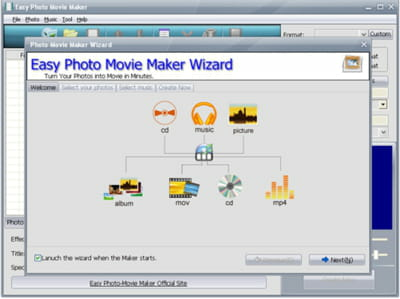 Easy Photo Movie Maker makes it possible for users to turn their digital photos into slideshows, digital albums, DVD movies, and digital collages. The software allows users to add effects and captions to their photos, as well as background music to their slideshows and digital projects. There is watermark on images edited in the trial version. Latest update on June 21, 2016 at 04:50 PM.